Today the Health Minister has confirmed that she will continue the core grant fund to the voluntary and community sector. Work had been ongoing that would have seen the core grant scheme phased out alongside the introduction of a new innovation scheme. A new core grant scheme with an innovative component will be designed in due course, it will be open to all VCS groups. In the interim the Minister will not be progressing a planned 25% reduction in the core grant scheme. In making this decision the Minister has stated her concern that the removal of the scheme would result in the weakening of the strong advocacy voice of the sector. Making a statement today the Minister said, "​I want to support voluntary and community sector organisations that can assist with the delivery of my vision for health and social care in the north, with an emphasis on transformation. I have decided to do that by way of providing organisations with funding to support their core functions. Welcoming the Minister's decision NICVA Chief Executive Seamus McAleavey said, “The Minister and her officials have been in discussion with us for some months now and we are delighted she has made this decision. NICVA expects that the new funding scheme will be in place for April 2018 and in the meantime she will maintain the existing scheme with no cuts next year. 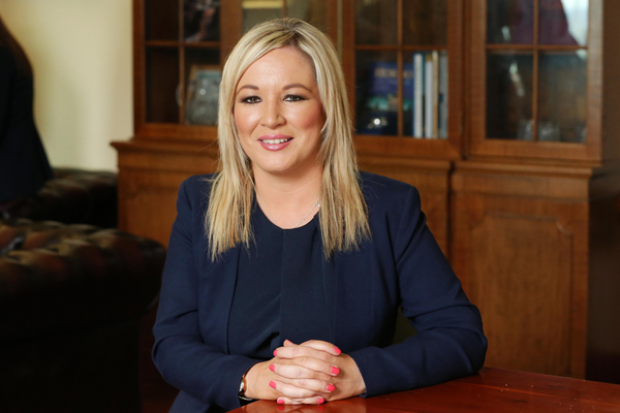 "Voluntary and community organisations have a big part to play in the Minister’s Transformation agenda and NICVA supports the vision that she has set out to transform health in Northern Ireland. We recognise the challenge is huge and requires the united support of a Northern Ireland Executive if it’s to be achieved. If there is an election then the task falls to the incoming Executive and possibly a new Minister but the challenge remains the same and will need unity of purpose”. You can read the Ministers statement in full here.